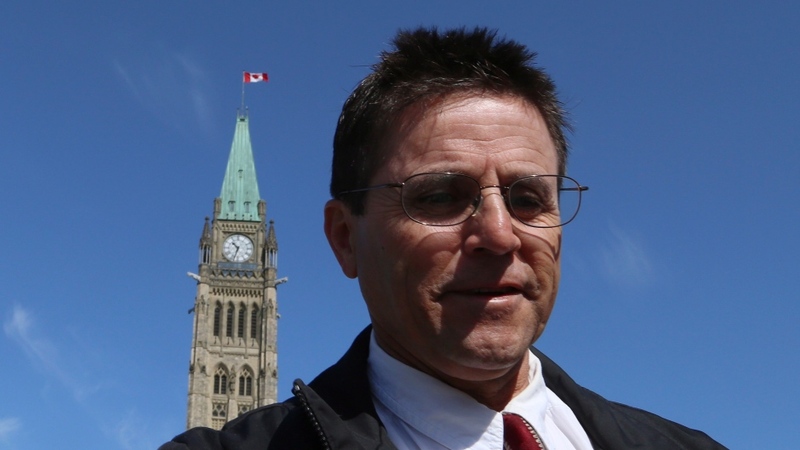 Recent CBC coverage of Dr. Hassan Diab’s ordeal highlights the role the Canadian Department of Justice played in facilitating Hassan’s extradition to France. When the case against Hassan was falling apart, after the defense discredited the French handwriting analysis, Senior Department of Justice lawyers urged French authorities to produce “new” handwriting analysis. Justice Department lawyers also suppressed fingerprint evidence showing Hassan’s innocence. 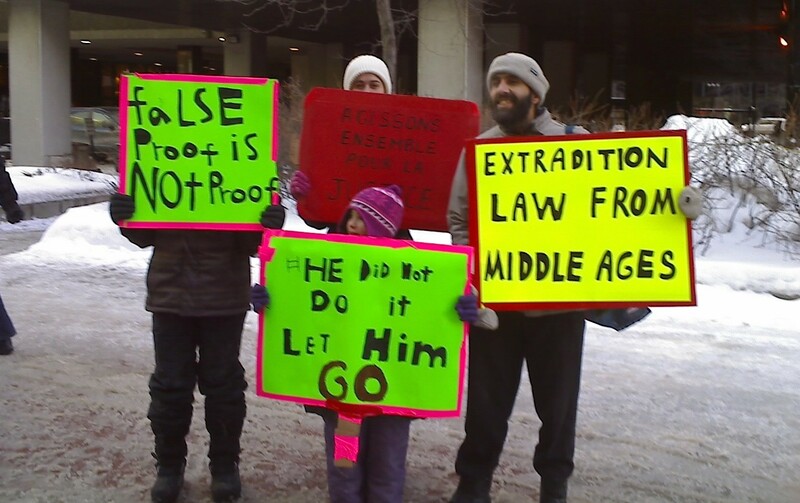 We urge you to join us in calling for an independent public inquiry into Hassan’s case and reforming Canada’s extradition law so that no other Canadian is subjected to such a flawed and unfair process. We do not have faith in an internal review by the Department of Justice which, in the first place, was responsible for Hassan’s ordeal. 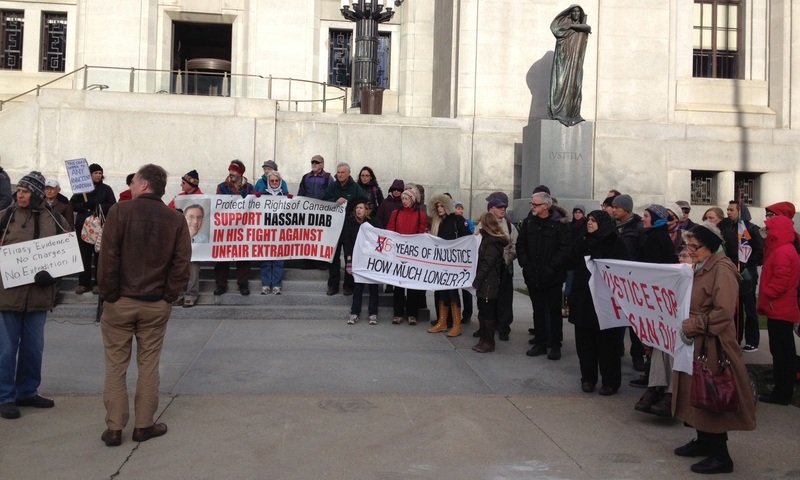 Amnesty International Canada and the BC Civil Liberties Association sent an open letter to the Canadian Ministers of Justice and Foreign Affairs calling on them to launch a thorough public inquiry into Hassan’s case. Also, the Canadian Association of University Teachers (CAUT) called for an independent public inquiry into Hassan’s treatment. 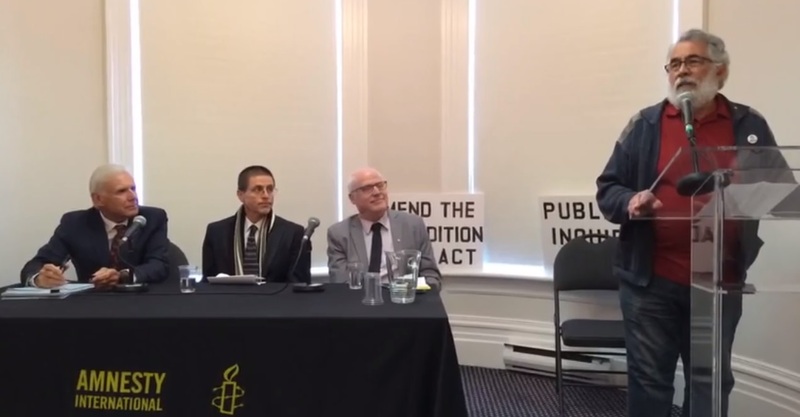 MP Murray Rankin, Vice-Chair of the Standing Committee on Justice and Human Rights, raised Hassan’s case in Parliament and called for an independent public inquiry. 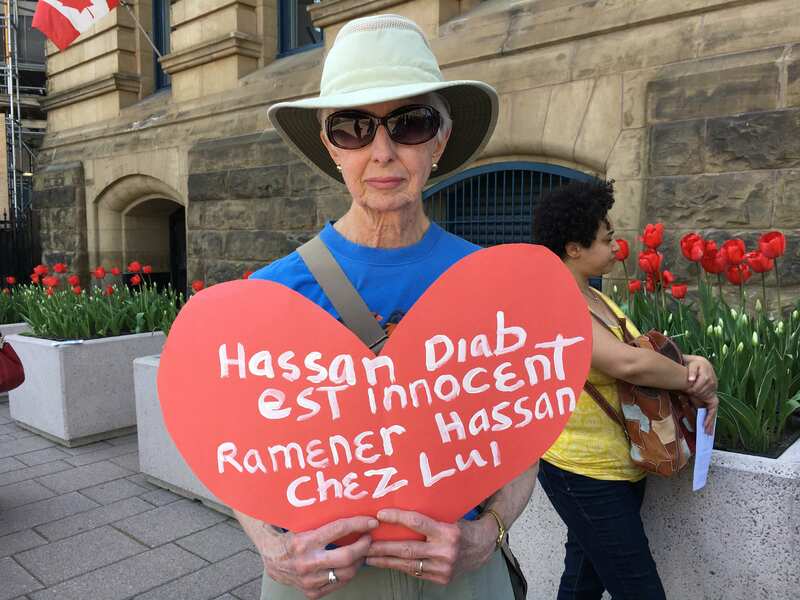 We ask you to add your voice by writing to Prime Minister Justin Trudeau, calling upon him to launch a thorough, independent public inquiry into Hassan’s case. Please copy the Ministers of Justice and Foreign Affairs and your member of Parliament on your letter, and share your correspondence with diabsupport@gmail.com. Also, please post on social media and write articles and op-eds calling for a public inquiry. 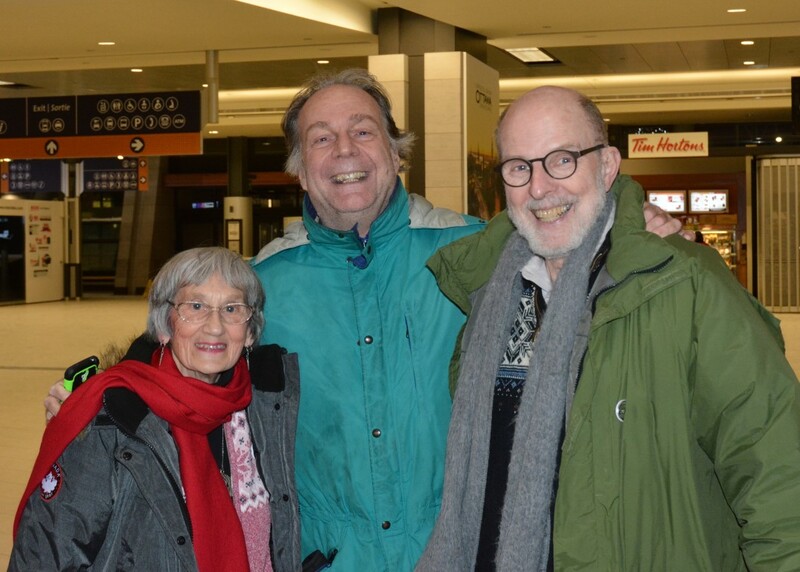 After a very long three years and two months, Hassan arrived in Ottawa on Monday January 15, 2018. 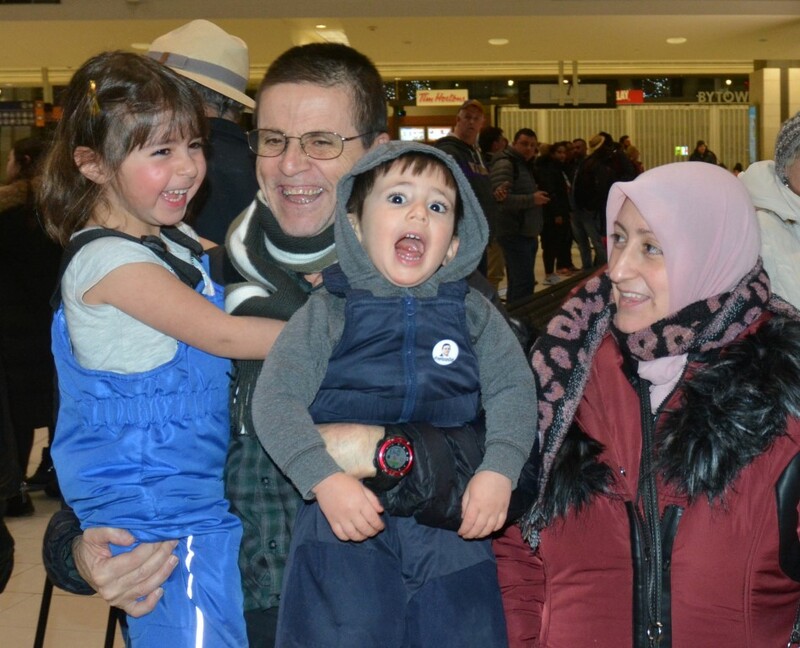 His wife, Rania, and their children were there to welcome him back home. 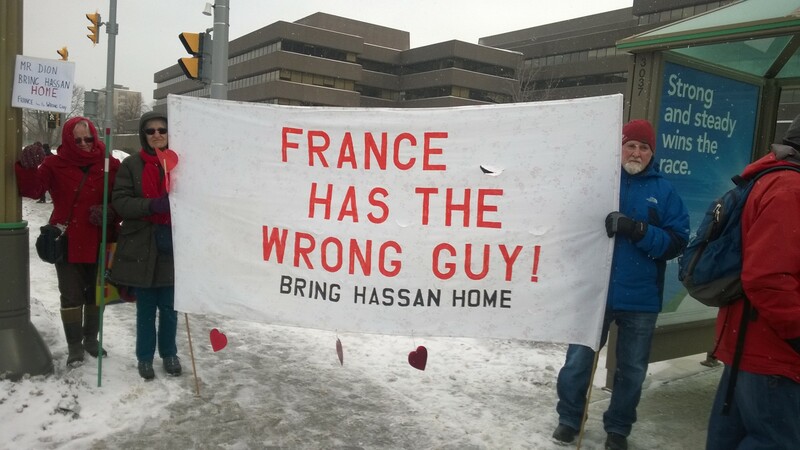 We are grateful that Foreign Affairs was able to help bring Hassan back to Canada. For a video of Hassan’s press conference, click here. As you might have heard, this is not the end of Hassan’s ordeal. There will be an appeal of the release decision. So, the outcome remains uncertain, and we’re not completely out of the woods yet. 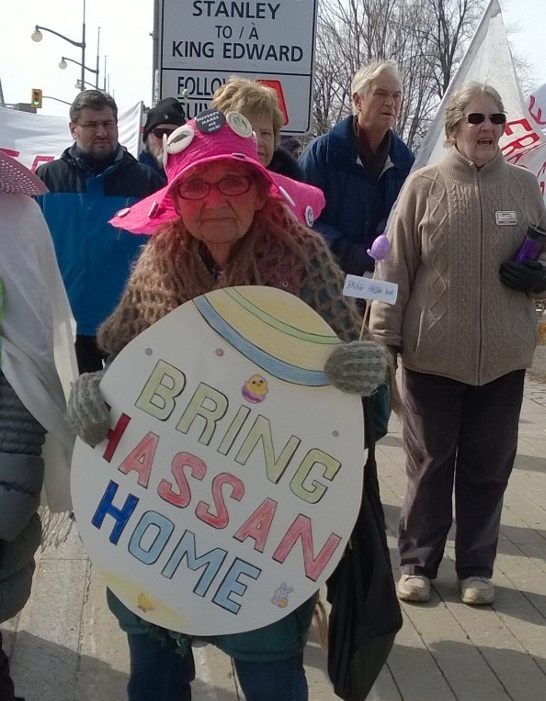 But for now, we can say that justice prevailed and Hassan is back in Canada and that is worth celebrating. As members of the Hassan Diab Support Committee, we send you our BIGGEST HEARTFELT THANK YOU! So many of you have been supporting Hassan in various ways for many years. Thank you for your donations that covered various legal costs, for writing to politicians, for phoning PM Trudeau, for signing petitions, for showing up at vigils (despite the freezing weather), and for your kind messages of support. Over and over you helped us and kept us going. You also kept Hassan and his family going. We are immensely grateful. Let us hope this is the end of a long, difficult road. 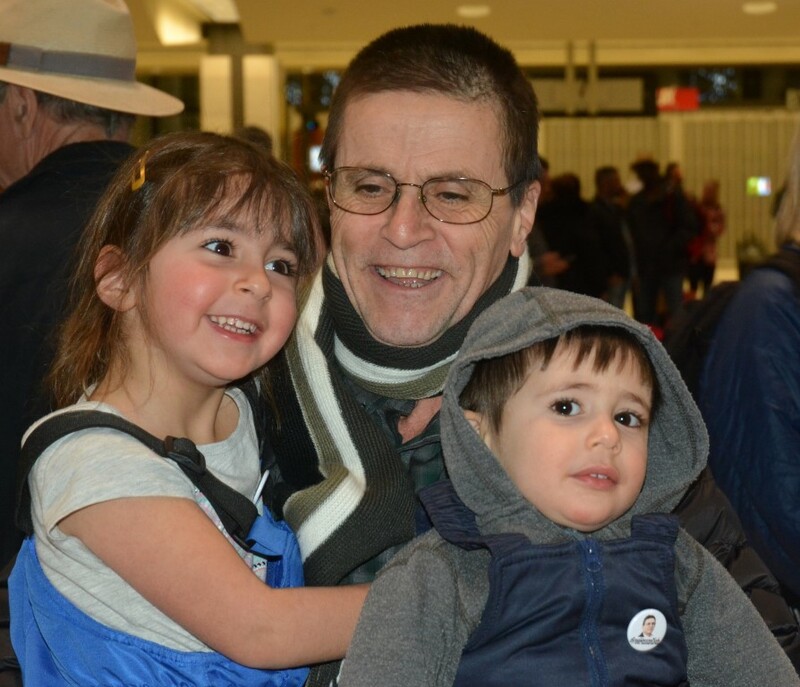 16 January 2018, Ottawa — Dr. Hassan Diab arrived in Canada and was reunited yesterday with his family in Ottawa. On January 12, two French investigative judges had dismissed the case against Diab and ordered his immediate and unconditional release, including the right to return to Canada. 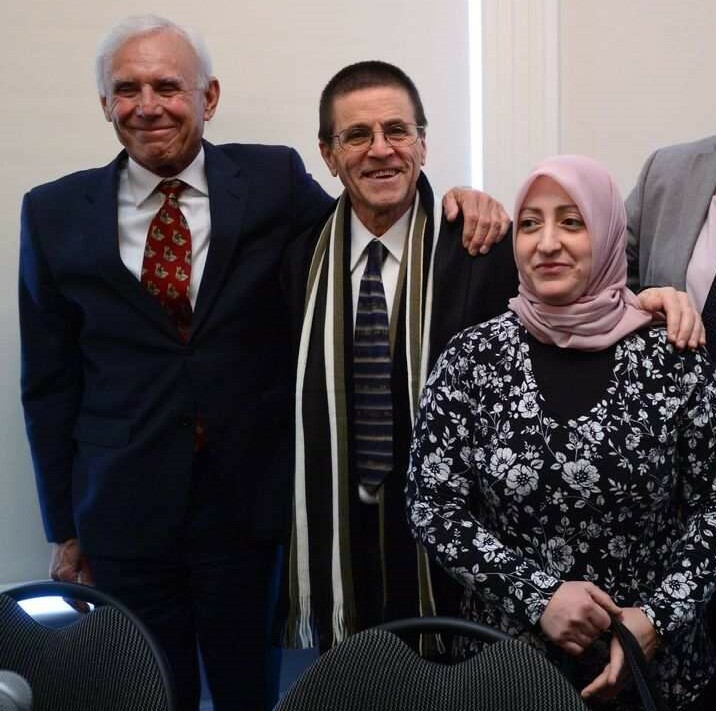 Hassan Diab, Don Bayne (Diab’s lawyer in Canada), Alex Neve (Secretary General of Amnesty International Canada), and the Hassan Diab support committee plan to hold a press conference on Wednesday, January 17. 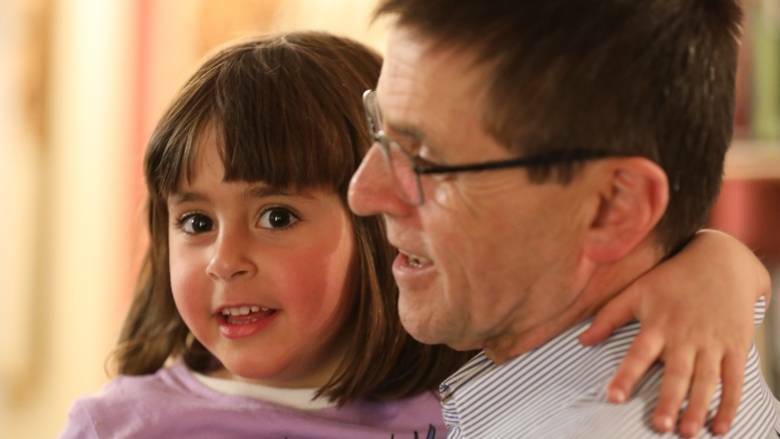 On January 12, 2018, Judges Jean-Marc Herbaut and Richard Foltzer (“Juges d’instruction anti-terroristes”) dismissed the allegations against Dr. Hassan Diab and ordered his immediate and unconditional release from detention. An overwhelming body of evidence shows Dr. Diab cannot have been in France in 1980 when the attack was perpetrated, as many elements confirm he was in Beirut during that period of time. The decision also notably underlines the numerous contradictions and misstatements contained in the intelligence which cast serious doubts about their reliability, as well as the fact that Dr. Diab’s handwriting, fingerprints, palm prints, physical description, and age do not match those of the suspect identified in 1980. 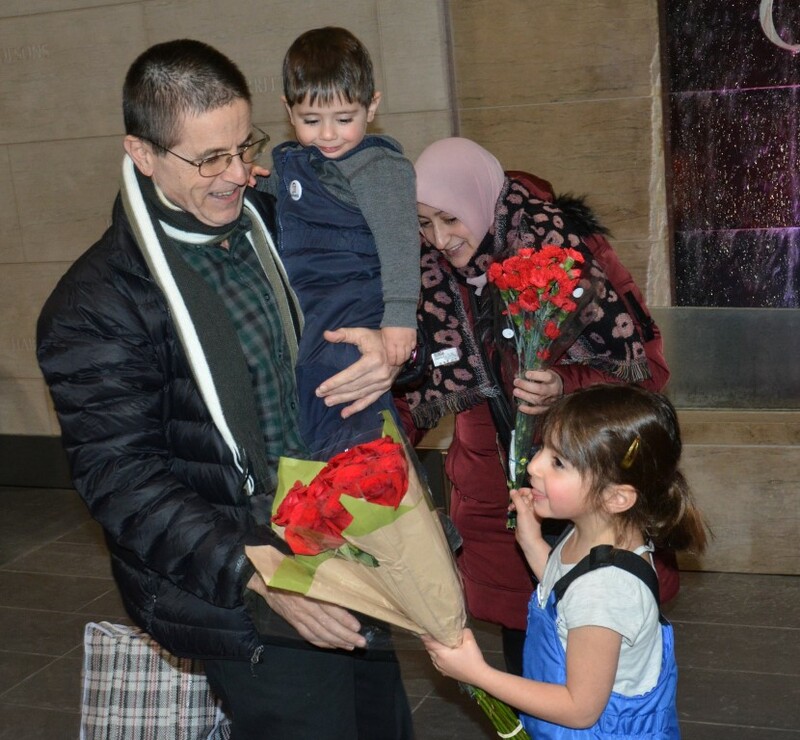 Le 16 janvier 2018, Ottawa — Dr. Hassan Diab est arrivé hier au Canada et a été réuni avec sa famille à Ottawa. Le 12 janvier, deux juges d’instruction ont prononcé un non-lieu et ont ordonné sa remise en liberté immédiate, y compris le droit de rentrer au Canada. Une conférence de presse se tiendra ce mercredi, le 17 janvier, avec la participation d’Hassan Diab, Don Bayne (avocat de Diab au Canada), et Alex Neve (Secrétaire général d’Amnesty International Canada – anglophone) et le Comité de soutien à Hassan Diab. Le 12 janvier 2018, les juges d’instruction anti-terroristes Jean-Marc Herbaut et Richard Foltzer ont rejeté les charges à l’encontre du Dr. Hassan Diab en prononçant un non-lieu et ont ordonné sa remise en liberté immédiate. Il a été abondamment démontré que le Docteur Diab n’a pu être présent en France lors de l’attentat de 1980, ne serait-ce que parce que sa présence à Beyrouth au moment des faits a été confirmée. La décision des juges souligne notamment les nombreuses contradictions et inexactitudes qui sont contenues dans les notes de renseignement qu’ils ont examinées, et qui font douter de leur fiabilité. D’ailleurs l’écriture du Dr. Diab, les empreintes digitales, l’empreinte de la paume, sa description physique, et son âge ne correspondent pas à ceux du suspect identifié en 1980. Les avocats français du Dr. Diab, William Bourdon, Apolline Cagnat, et Amélie Lefebvre, déclarent que «ceci est une décision exceptionnelle… dans l’histoire judiciaire française». Ils disent que la reconnaissance de l’innocence d’un suspect dans un cas de terrorisme est toujours un long chemin mais peut être obtenue par un travail sans relâche et que la décision est fondée sur la démonstration de l’impossibilité d’attribuer à Hassan Diab une quelconque implication dans l’attentat, ce qu’ils n’ont cessé de clamer. Ils ajoutent que le respect des victimes et de leur légitime besoin de justice ne doit pas être confondu avec l’obstination du parquet dont l’éventuel appel serait complètement contraire à la loi et aux faits. 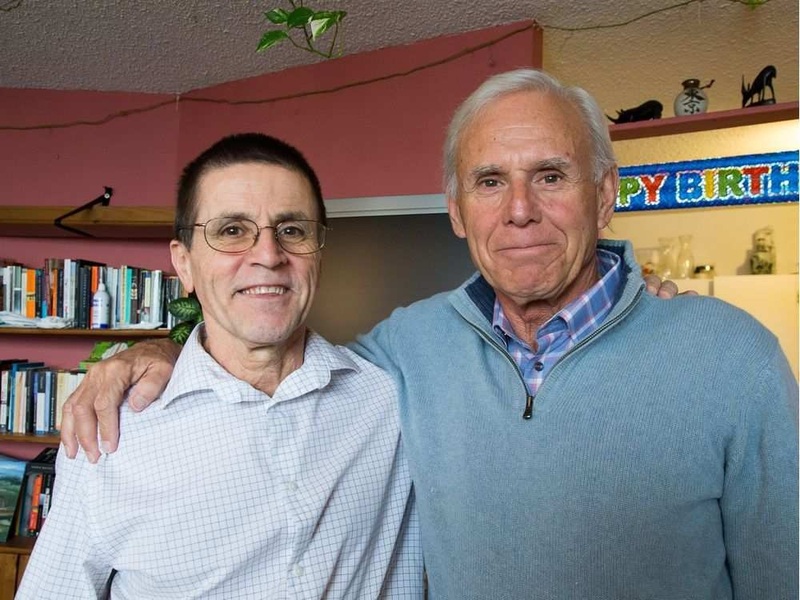 12 January 2018, Ottawa – Today, Judges Jean-Marc Herbaut and Richard Foltzer (“Juges d’instruction anti-terroristes”) dismissed the allegations against Dr. Hassan Diab and ordered his immediate release from detention. An overwhelming body of evidence shows Dr. Diab cannot have been in France in 1980 when the attack was perpetrated, as many elements confirm he was in Beirut during that period of time. The decision also notably underlines the numerous contradictions and misstatements contained in the intelligence which cast serious doubts about their reliability, as well as the fact that Dr. Diab’s handwriting, fingerprints, palm prints, physical description, and age do not match those of the suspect identified in 1980. After more than three years in solitary confinement in a French prison, Dr. Diab is set to be released from detention today. 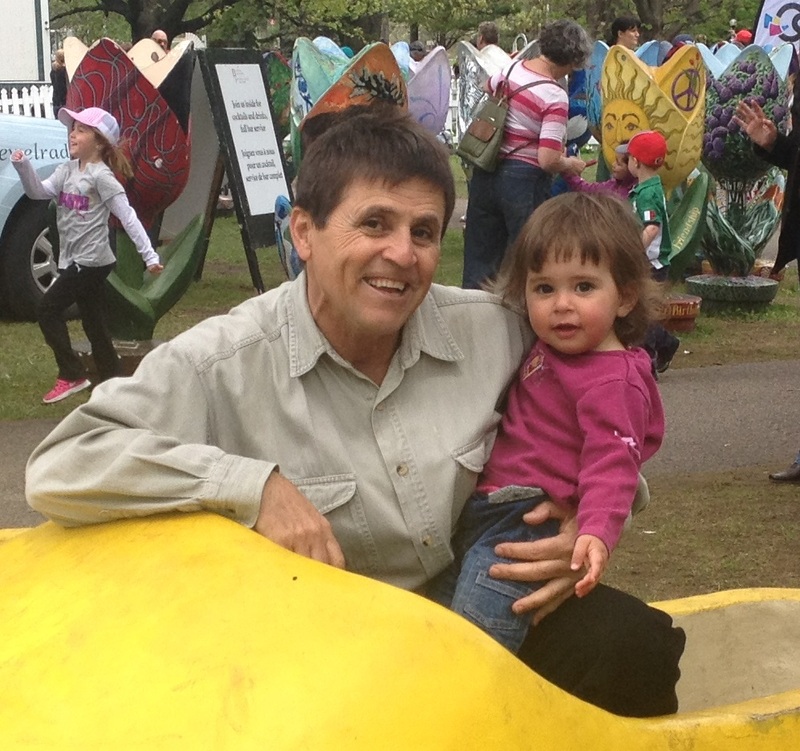 Dr. Hassan Diab is a Canadian citizen and sociology professor who lived in Ottawa. 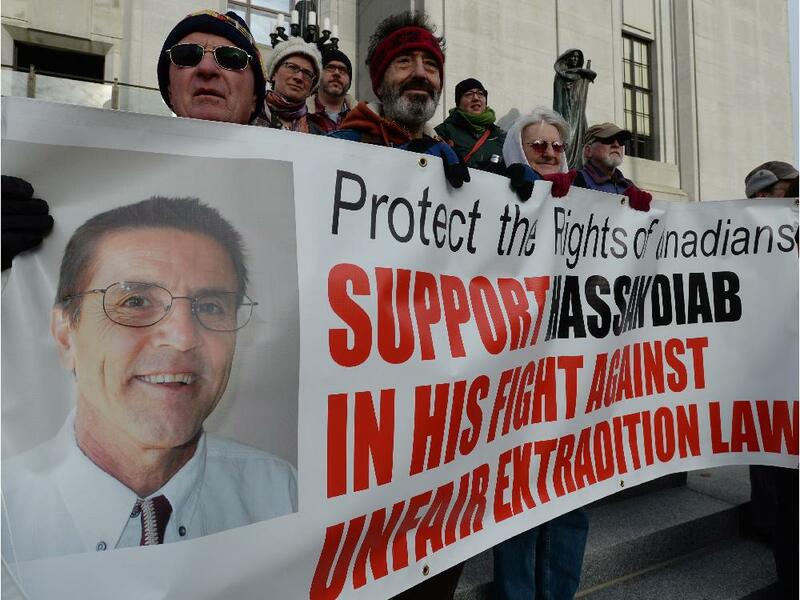 He was extradited from Canada to France in November 2014 even though the Canadian extradition judge Robert Maranger described the evidence presented against Dr. Hassan Diab as “very problematic”, “convoluted”, “illogical”, and “suspect”. 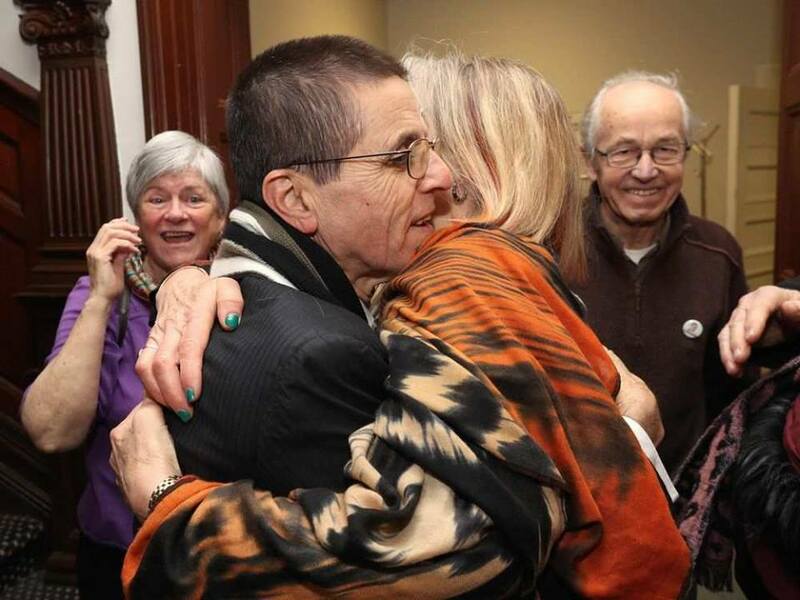 However, given the low threshold of evidence in Canada’s extradition law, the judge felt compelled to order Hassan Diab’s extradition in November 2014. 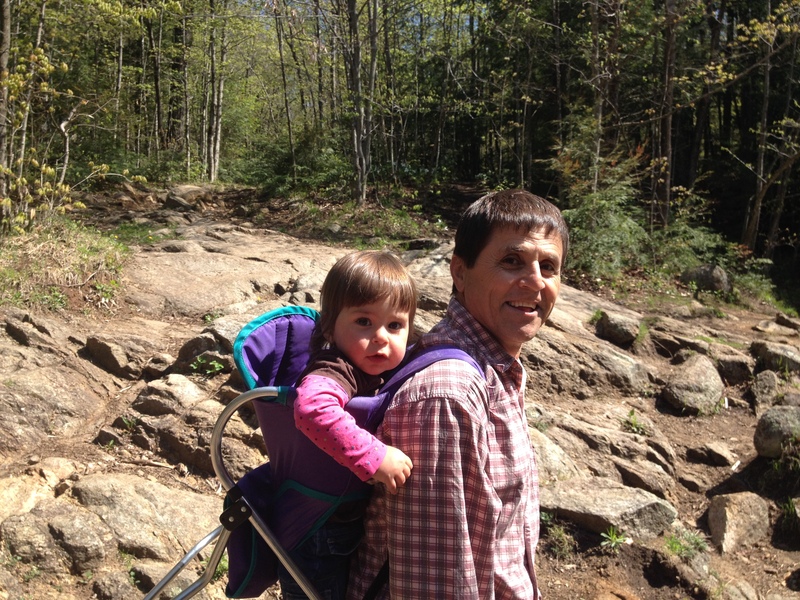 Four French judges have ordered Dr. Diab’s conditional release eight times in the last 20 months, most recently in November 2017. 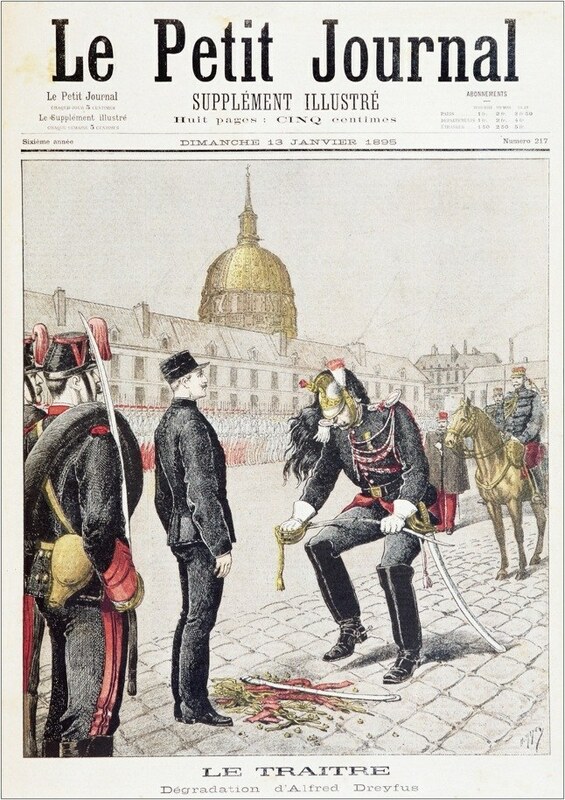 However, each time the Paris prosecutor appealed, and the French Court of Appeal overturned the release orders due to the political climate in France. Dr. Diab has the support of thousands of individuals and organisations in Canada and around the world. 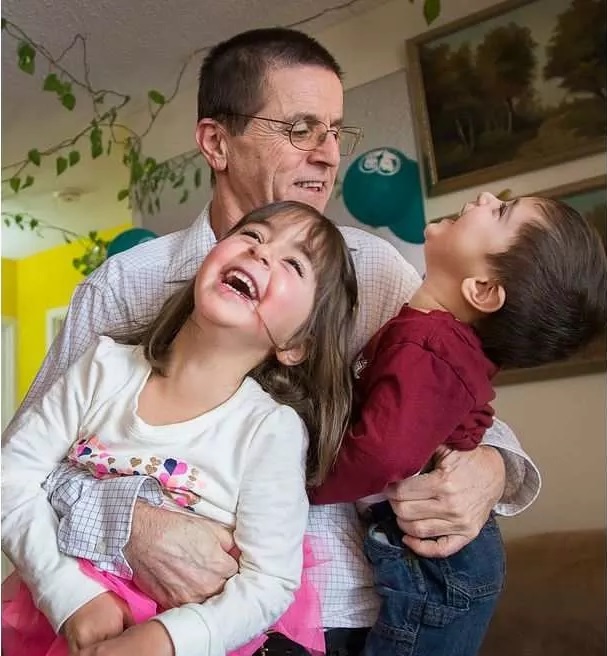 “The Hassan Diab case is beginning to reek of the late 19th-century ‘Dreyfus Affair’ now that a fourth French judge’s order for Diab’s release for lack of evidence has been quashed at a higher level, and this Canadian academic and father of two small children begins his fourth year in solitary confinement in a French prison, without charge or trial. I am no Zola. But over the course of my career as a writer, I think I have gained a reputation for integrity. From my first book, an oral history of Canada during the 1970s’ national unity crisis, I have also engaged myself in the narrative of values, rights and responsibilities by which we like to define ourselves as a country. Every breach of these – from the residential school policy to the internment of Japanese Canadians during the Second World War to, more recently, the treatment of Maher Arar, Omar Khadr and, now, Hassan Diab – challenges Canadians. Heather Menzies is a two-time winner of the Ottawa Book Award, an adjunct professor at Carleton University and a member of the Order of Canada.